Rev William Calderwood was the minister of Legerwood from 1655 until 1662, when he was ejected. After the Glorious Revolution, he was able to retuen and served until 1709. 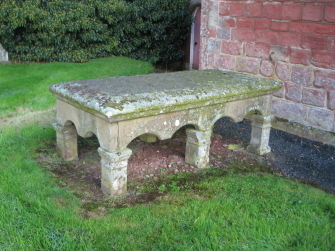 Rev William Legerwood's tablestone is located near to the entrance to the church building.